Livery Dark green with light green waistband. 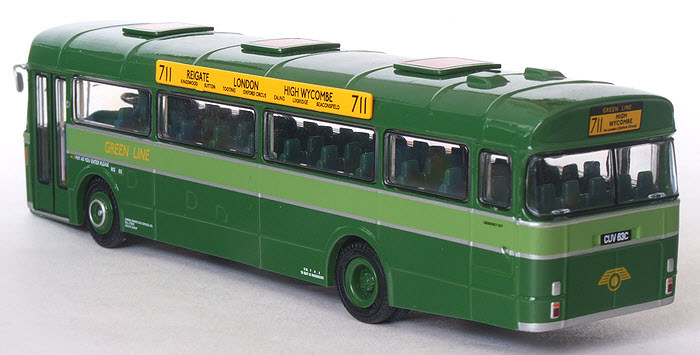 Notes This model as cove mounted route boards bearing the following: "711 Reigate London High Wycombe 711 Kingswood Sutton Tooting Oxford Circus Eailing Uxbridge Beaconsfield". 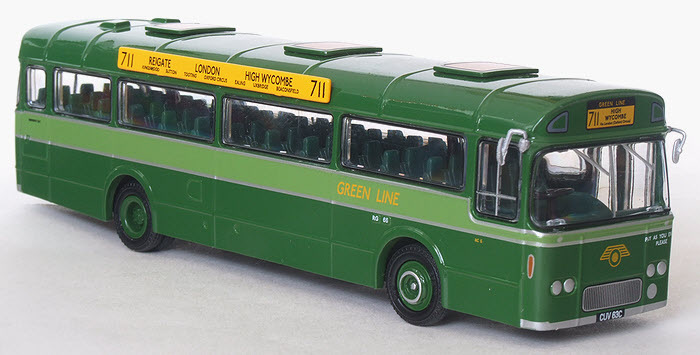 This model was a commissioned for the London Transport Museum and issued in gift set 15A Green Line Prototypes (EFE Ref. 99933A).